When SpaceX’s Falcon 9 rocket was launched from Kennedy Space Center on May 22, its Dragon capsule carried supplies for the International Space Station, the first non-government vehicle to dock there. However, for many of the people who crowded Florida’s Jetty Park to watch the night launch, the second stage of the rocket carried a secondary but extremely precious cargo: vials containing the ashes of their loved ones which, with a successful launch, may orbit the earth for several years. One of those vials contained the cremains of Steven Mark Julian, my brother-in-law. On October 4, 1957, a day after his 7th birthday, Steve was bitten by the space bug when Russia launched Sputnik. For the rest of his life, he was fascinated by space and continued to arrange his work schedule so he could watch televised launches long after they became routine for most Americans. Because he was watching the only network to televise live the launch of Challenger on January 28, 1986, he knew about and mourned the tragedy before some media outlets interrupted their scheduled programming with news that the rocket carrying the shuttle had exploded. Although his childhood dreams of becoming an astronaut were never realized, Steve’s life was full. During his high school and college years, he worked in a grocery store, advancing after graduation to night manager. He married the love of his life, my sister Vicki, and fathered two sons, Chris and Ryan. Our family was proud of Steve as he became an insurance agent and then a life insurance consultant assisting agents working for a brokerage company. After Steve’s death, his company established a highly coveted award that is given annually in his name. When Steve was diagnosed with a rare cancer in 2004, it was not long after extensive surgery before he returned to work and resumed his rigorous exercise schedule. He embraced Relay for Life and proudly walked the survivor’s lap. A medicine held the cancer in check for a year, but failed when the cancer mutated. As Steve and Vicki traveled from Houston to Chicago, chasing an elusive cure, it became obvious to Steve and all of us who loved him that he was in a battle he could not win. when the ashes of Gene Roddenberry, creator of Star Trek, were sent into orbit in 1997. An Internet search located Celestis, the company responsible for launching into space Roddenberry, Timothy Leary and others, ​both famous and not. Vicki promised Steve that he posthumously would become the astronaut he always wished to be. After several launch delays resulting in canceled and rescheduled flights and hotel reservations, Vicki, her sons, daughter-in-law and my husband Ray and I flew to Florida for the launch which was expected to occur on May 19. Out on the jetty in the middle of the night, we watched across a wide expanse of ocean for the launch of the rocket which also carried the ashes of L. Gordon Cooper, one of America’s original Mercury 7 astronauts, and James Doohan, better known as Scotty on Star Trek. Excitement grew as we saw the light on the horizon grow brighter, knowing it resulted from the engines firing on the rocket. The countdown reached "Liftoff" but the rocket failed to rise. High pressure in one of the rocket’s engines caused the computer to shut down all engines and abort the launch. Ray and I could not rearrange our schedules for a second launch attempt planned for May 22, but Vicki was determined to witness the fulfillment of her promise to Steve. While I watched the 3:44 a.m. launch on NASA’s website from our home in Lawrence, Vicki and her children were standing on the jetty. As the rocket carrying the ashes of 320 people, representing 18 countries, rose in the dark sky, Vicki, her promise kept, threw up her arm in triumph and shouted a fitting tribute for her native Kansan husband: "Ad astra, Steve!" Note: The second stage of the rocket carrying the ashes of Steve and many other souls orbited the Earth 576 times, about once every 90 minutes, before reentering Earth's atmosphere over the South China Sea at 10:22 p.m. CDT on June 26. Those interested in learning more about space memorials may do so by clicking HERE. Craig Weinaug writes a message to Leo, who is sitting in the wheeled cart from which he operated his watch repair business and sold pencils and other items. The long-ago friendship that developed between Leo Beuerman, a crippled dwarf, and Catherine Weinaug, a KU professor’s wife, was surprising to everyone except Catherine’s son, then a boy but now Douglas County Administrator Craig Weinaug. He says he was never surprised at anything his mother did. She had a strong, energetic faith and never shied away from recruiting others to help her move mountains. Leo was born on January 6, 1902. 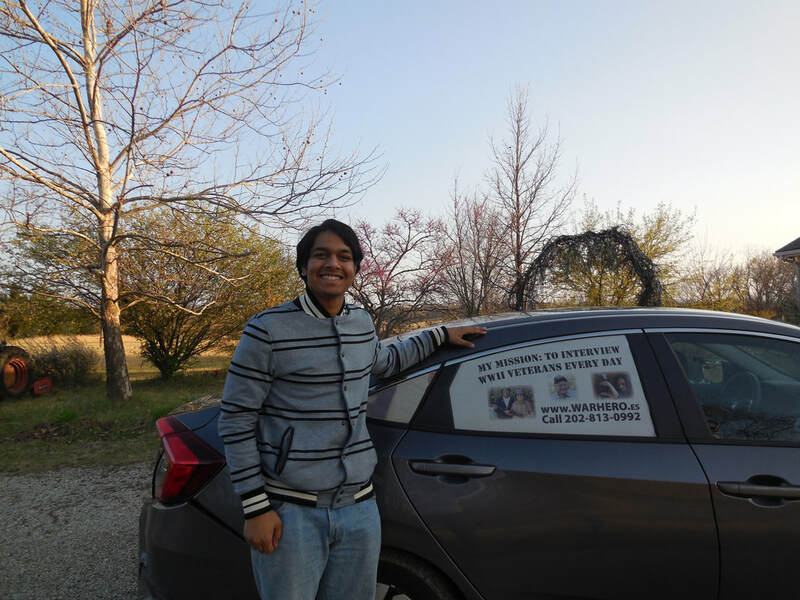 By age 10 he began to lose his hearing and by 28 he was deaf. At maturity, he stood 3 feet 3 inches tall and weighed 60 pounds. He invented devices — including a mini-elevator that helped him up and down the steps at his rural farm house near Lakeview — where he lived with his brother and sister. 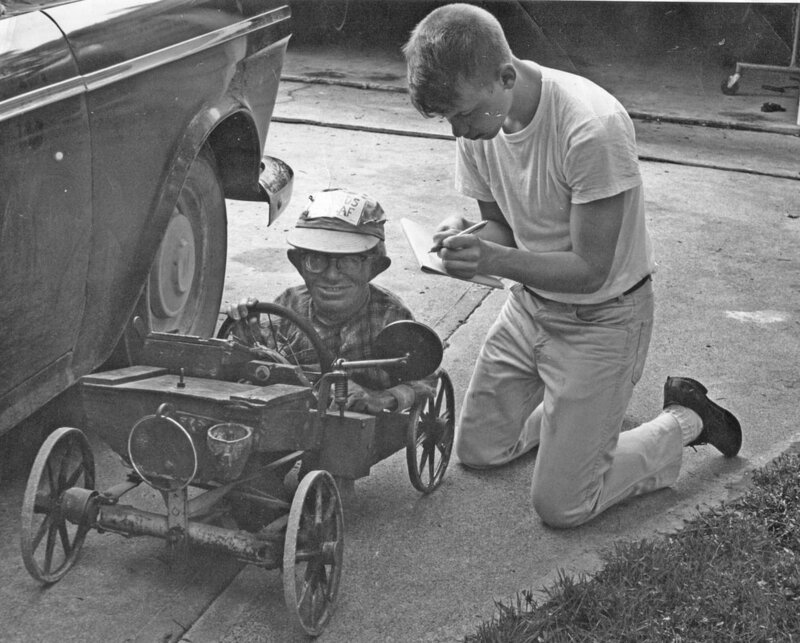 With the help of his nephew, Leo adapted an ancient tractor so he could drive to town and back, carrying the little cart from which he conducted his watch repair business and sold pencils and other items on the sidewalks of downtown Lawrence. Occasionally, he would stay in town all night, sleeping in his cart. One night as he was sleeping, he was pulled from his cart and brutally beaten and robbed. He suffered head cuts and other injuries and was hospitalized. When tender-hearted Catherine read of the attack, she sent flowers to Leo at the hospital, but felt she needed to do more. One day, learning he had been dismissed from the hospital, she followed vague directions given to her by a store clerk to find Leo’s home and visit with him. She was appalled that Leo transported himself about the two-room house on a small wheeled platform and slept leaning against a wooden orange crate. She conversed with him by writing notes on the pad he pressed into her hands. “Our friendship is just beginning,” Catherine answered and meant it. She enlisted help from her husband, Charles, and sons, Carl and Craig, as well as members of a Sunday School class of university students she taught. One Sunday, the Weinaugs took Leo to church where he sat between two students who wrote condensed versions of the pastor’s sermon for Leo. Then he went to the Weinaugs’ home for dinner. Leo emerged from his long soak with a big smile on his face and, according to Catherine “left enough dirt in the tub to plant flowers.” He ate dinner seated on three encyclopedias. And when he spent the night, sleeping upright while resting his back against an overstuffed chair instead of his orange crate, his earsplitting snores kept the Weinaugs awake and evoked howls from the family’s dog. Leo became a frequent visitor at the Weinaug home and one day Catherine mentioned to her neighbor, Russ Mosser, who was part-owner of Centron Films in Lawrence, that Leo’s story might make a good movie. She furnished Mosser with Leo’s autobiography, which she had encouraged him to write, and photos of Leo. Trudy Travis, a gifted writer who recently died at age 90, was assigned to write a script. She followed Leo, watching him struggle with chains to lower and raise his cart onto his tractor and seeing him interact with his customers, most of whom were children. “Leo Beuerman,” a 14-minute short documentary, was nominated for an Oscar in 1969. The film is still available on DVD and is often used as a motivational tool by businesses. Leo was totally blind during the last years of his life and friends communicated with him by writing on his back. He lived in a nursing home and helped support himself by making leather key chains and bead necklaces which were sold in local stores. A bronze plaque, sculpted by artist Jim Patti, sits in the sidewalk at the northeast corner of 8th and Massachusetts where Leo frequently sat in his cart. The wording on the plaque was objected to by some who believed the words represented a negative stereotypical view of handicapped persons. Leo’s friends argued that there was no shame in any form of honest labor and said the words were simply Leo’s way of identifying himself. The plaque features an image of Leo in his cart along with his words reproduced in his own handwriting: Remember me — I‘m the little man gone blind. I used to sell pencils on the street corner. Both Leo and Catherine are gone now, but neither will be forgotten by those who knew them and the story of their unlikely friendship. The following article appeared in the Winter 2017 issue of Amazing Aging. Photo of Jack Wright as "The Sage of Emporia" courtesy of Nick Krug. Jack Wright, KU professor emeritus of theatre and film, is one of those rare individuals who began the career he loves at the tender age of five. The child of working parents — his father taught piano lessons, his mother worked in retail — Jack was enrolled in Carl and Betty Curtiss’ School of Elocution and every Saturday he performed on their radio show, “Three Storytellers” where he, billed as Jackie Wright, was the youngest storyteller. He jokes that “I stayed five until I was ten.” The show was eventually syndicated and broadcast nationally. The Curtisses and Wright left the radio show to perform on television in a drama about a farm boy, played by Wright, who had polio. The Salk polio vaccine had not been invented and the disease “was a big deal in the 1950s,” explains Wright. The show aired weekly on a Cleveland, Ohio, television station. As a child actor, Wright obtained his equity card at quite a young age. He performed in civic theatres in two Ohio cities, Canton and Massillon, as well as in Canal Fulton Summer Theatre, a famous professional theatre. fellowship which he was awarded: two years of teaching plus two years of writing his dissertation. Indeed he does. 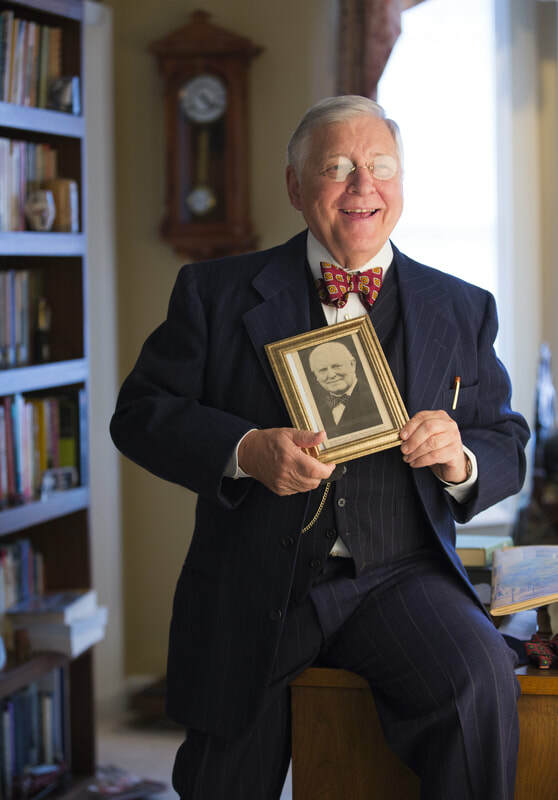 Wright fills his free time in many constructive ways, but one of the most challenging and fun uses of his time is performing his one-man show, The Sage of Emporia by Henry C. Haskell, a playwright and long-time editor and columnist for the Kansas City Star. Wright was only 38 when Haskell visited him at KU with the script, saying he wanted KU to produce a play he had written about Emporia editor William Allen White. Wright agreed to read the script and Haskell asked if KU had a good faculty actor. Wright recommended Bill Kuhlke, but when the two men visited Kuhlke, who was very tall, Haskell said he wasn’t the right type, that White was a short man, chunky and chubby. Turning to Wright, Haskell asked, “Do you act?” Wright admitted he did, read the script that night and loved it. He agreed to perform the play for then KU Chancellor Budig’s Festival of the Arts. The problem was that the Festival was only three and a half weeks away and the play was two and a half hours long. He credits Judy, his wife of 37 years whom he met at a theatre convention in Chicago, with helping him memorize the lines. Opening night was attended by the daughter-in-law of William Allen White, a controversial and outspoken lady from New York, not known for her tact. When she approached Wright after the show, he was nervous, especially when she said she enjoyed the performance, but . . . The but scared Wright, however she simply said that White would never wear a cotton shirt and, when Wright explained that he went through a lot of shirts and cotton shirts were easy to launder, she offered to pay for silk shirts. That did not happen and Wright continued to wear cotton shirts; however, he also wore White’s glasses and bow ties and carried his briefcase which she loaned to him. He still uses them in his performances. A plus to today’s performances, he says, is that makeup does not take as long as it did when he was younger and lines had to be drawn on his face. Wright has performed The Sage of Emporia throughout the United States to rave reviews. Should he bring his show to a theatre near you, regard it as your ticket to an evening of exceptional entertainment. John Studdard had to be talked into going back to Korea, but he is so glad he did. When John left Korea in 1954, the war was over and most of South Korea, particularly Seoul, was in shambles. 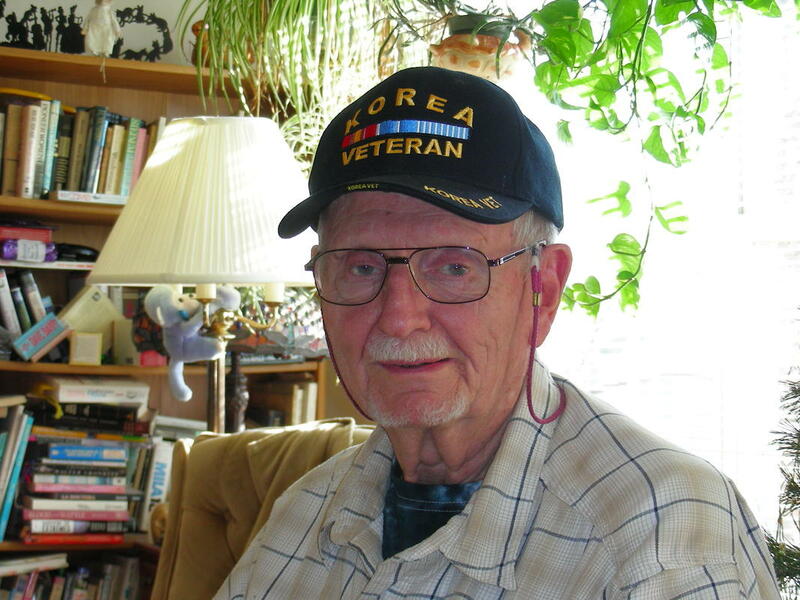 Partly because of that memory, when his friend Jim Bradley told him at an American Legion meeting about the Revisit Korea program, subsidized by the South Korean government for Korean War veterans, John had no interest in returning to Korea. But his wife, Audrey Kamb-Studdard, saw the program as a “once-in-a-lifetime opportunity” and encouraged him to go. Since 1975, a grateful Republic of Korea has invited Korean War Veterans from all the Allied countries that participated in the war, along with their family members, to return to the country they saved from communism. The Korea Veterans Association – Seoul has provided free hotel accommodations, meals and bus tours of Seoul, Incheon and the DMZ (demilitarized zone) for thousands of veterans and the family members accompanying them. The South Korean government also pays half the airfare for veterans and 30 percent of airfare costs for accompanying family members or caregivers. John and his wife Audrey arrived in Seoul, South Korea on September 13, 2012, the day after his 81st birthday. He was stunned at the beautiful city it had become with modern skyscrapers and parks where once had been rubble. The group of 150 veterans and family members were treated to tours, banquets, visits to war memorials, wreath-laying ceremonies and entertainment. Wherever they traveled, the veterans were greeted with Thank You banners in both English and Korean. On their last night in Korea, the Minister of the Ministry of Patriots and Veterans Affairs and the Chairman of the Korean Veterans Association invited the veterans and their families to an elegant thank you banquet. “The banquet, the accommodations, everything about the trip was first-class,” John declares. Editor’s Note: If you are a Korean Veteran who would like to return to Korea under the Revisit Korea program, please contact your local American Legion or VFW service organization. Sharma has interviewed one Medal of Honor recipient and nine veterans 100 or more years old. When he reads an obituary of a World War II veteran he did not have the chance to interview, he calls the family to express his condolences and his thanks for the veteran’s service. He presents each veteran he interviews with a video of the interview. You may read more about him on his website — http://www.heroesofthesecondworldwar.org/ — and also view many of the veterans he has interviewed. He knows it is unlikely that he will be able to interview every surviving World War II veteran, so he provides a list of questions and encourages visitors to his website to do their own interviews. If you are a World War II veteran or know of one who would like to be interviewed, please email Rishi Sharma at heroesofthesecondworldwar@gmail.com or call him at 818-510-2892.